Trane makes some of the top-selling heat pumps in the industry, and models cover the spectrum from highly-efficient and expensive to affordable with standard efficiency. This overview gives you essential data to use as you research your next heat pump. If you want to learn more about any model, see our heat pump reviews for greater detail. We include heat pump prices and features in each review too, so comparing models head to head is easy. See similar articles on Carrier, Lennox, Rheem, Goodman and other brands for quick, reliable comparisons. Trane makes 3 lines of heat pumps. Here’s what you get with each, starting with the top of the line. Trane XL heat pumps: This is a feature-rich line of 2-stage heat pumps, though Trane hasn’t introduced a modulating heat pump yet. They are backed by a 12-year compressor and 10-year parts warranty that is above-average for the industry. Each model is dual fuel compatible, so it can be installed as part of a split system with a gas furnace in cold climates. When done, the heat pump is used for heat 75%-85% of the time since it is more efficient; the furnace runs when temperatures are below freezing. All models are Energy Star rated. They are the Trane XLi Series heat pumps are: Trane XL20i (19 SEER/9.0 HSPF), Trane XL16i (18 SEER/9.2 HSPF) and Trane XL15i (16 SEER/9.0 HSPF). Trane XR heat pumps: These are single-stage models, one efficient enough for Energy Star. They offer reliable, quality heating and cooling for those in moderate climates. Each is backed by a 10-year compressor and parts warranty. The models are the Trane XR15 (16.5 SEER/9.0 HSPF) and the Trane XR13 (14 SEER/8.5 HSPF). Trane XB heat pumps: Trane’s most affordable heat pumps are useful in climates without temperature extremes. They are also chosen for installment in part-time locations since lower price is often more important than high efficiency or top of the line quality. The Trane XB14 (15 SEER, 8.5 HSPF) and the Trane XB13 (14.5 SEER, 8.5 HSPF) are your options in this economical series. Which Trane Heat Pump Should You Choose? Many homeowners start by selecting one with an efficiency level appropriate for your climate. If summers are mild, a less efficient heat pump is okay, unless winters are cold. In freezing climates, you’ll need a Trane XL since they are dual fuel heat pumps. The XL15i is very popular for installation in a dual fuel split system. Where summers are hot, a very efficient (16 SEER or higher) makes good sense. It will cost a bit more, but it will keep your energy bills to a more reasonable level and you’ll recoup the extra expense quickly. If you prefer the climate control of a 2-stage model, your choices are also limited to the XL line. If you choose a 2-stage heat pump, consider pairing it with a variable-speed air handler for peak indoor comfort including balanced temperatures, increased dehumidifying in summer and better air filtration all year. The XL heat pumps combine high efficiency, high quality and 2-stage performance, so they’re the most expensive. Most models throughout the entire lineup are available in sizes from 1.5-5.0 tons. 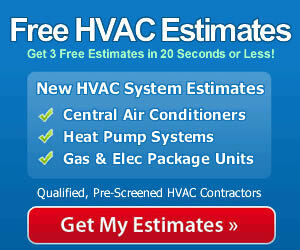 Take time to compare our HVAC prices on this site. When you decide to get written quotes, talking with at least three companies will get you the best prices in your area. Choose a qualified contractor with skill and experience too, since the quality of the installation is a major part of how well any heat pump will run in the years ahead.